Holvi is an online banking service* for entrepreneurs. It produces several tools for its customers that make the running of their business smoother. The most notable of these tools are the entrepreneur’s business current account, the invoicing tool, the advanced reporting tools and the own webstore! In this article we’ll go through how you’ll be able to open your own webstore in five minutes without any technical knowhow. 5) Publish your store and start selling! 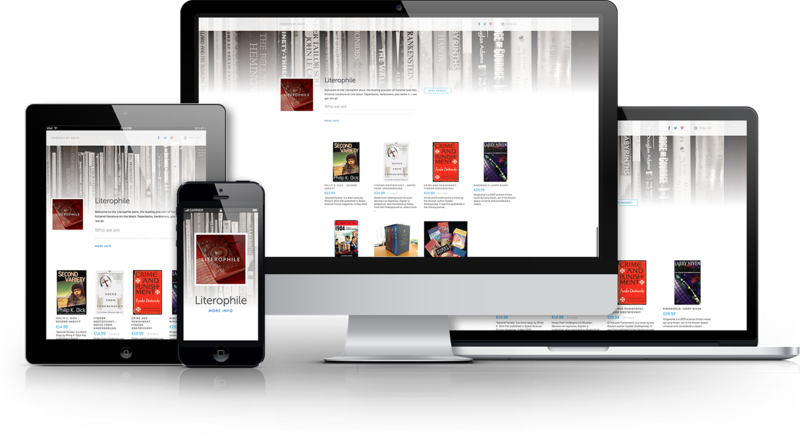 All of Holvi’s features are used online. Hence you must create a username for Holvi to begin. The process is very similar to many other web services: you give us your email address and phone number and verify them. 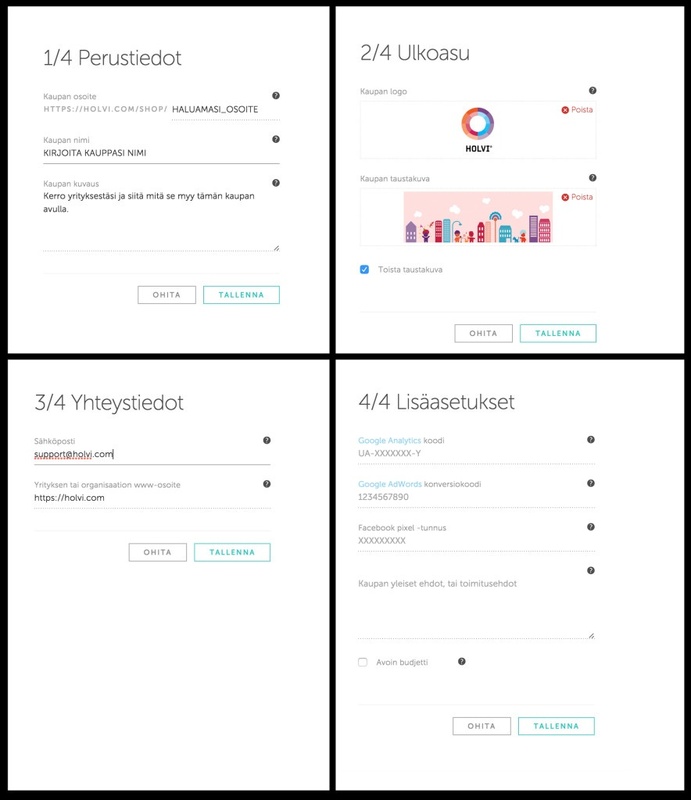 After this you’ll be able to use Holvi’s online banking service and e.g. 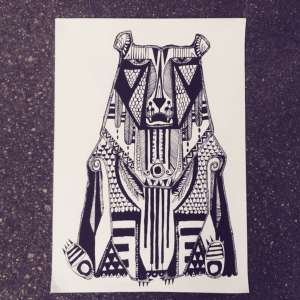 open your webstore. You can use the service for as long as you want simply by providing this information, but before you can withdraw funds out of Holvi you must verify your identity. 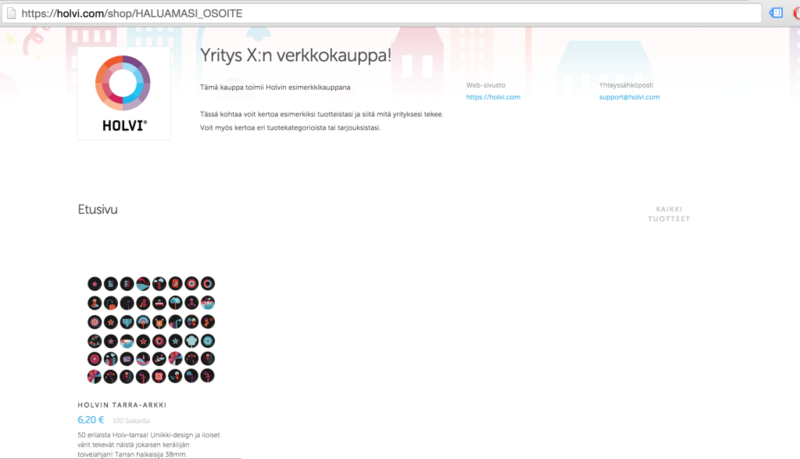 Finns can use their e-banking access codes to do this. Other nationalities must verify their identity by sending us a few documents such as a copy of their passport. See this article for further details. With your Holvi username you’ll be able to open your Holvi business current account, which is used to e.g. run your webstore. You can open as many Holvi business current accounts as you please free of charge. Click here for more detailed information on how to register your company. The hassle is kept to a minimum. NOTE: Your business, association or other legal entity must be registered within the European Economic Area (EEA) in order to use Holvi. Your webstore is ready to use straight away! You just have to fill in your details into your store’s settings. In practice this means filling a few short text fields and adding a background image and a logo. Name your store and write a short description. Most people use their company’s name and description. Also choose a fitting and easy-to-remember web address. The addresses for all Holvi stores are in the following form: https://holvi.com/shop/YOUR_ADDRESS_HERE. Most use their store’s or company’s name as the address. Also add an email address where your customers can reach you if needed. If you want to you can also add a link to your own homepage. In order to personalize the webstore you can add your own background image and your company’s logo. If you’re an advanced seller and employ e.g. Google or Facebook in your sales you can add these functionalities to your store from the advanced settings. If you’re a beginner feel free to ignore them at this point and optimize your webstore later. 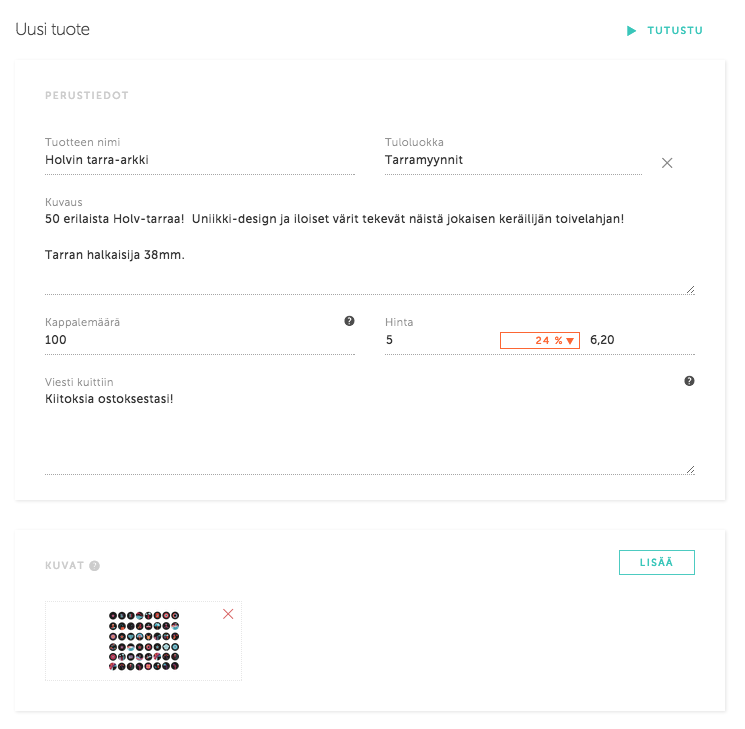 Adding new products to your store is as easy as opening the store: fill product description and details into a few text fields and add a product photo. While adding a new product you normally add a name, a description and a product photo for it. On top of those you can define the amount of products available (based on e.g. the batch). If you leave the field blank the product is available in limitless quantity. While defining the price you can see the price without the VAT on the left side and with the VAT on the right. Remember to enter the correct VAT rate so that the receipts for your customers and your own bookkeeping remain in order. If you want you can add your own message or thank-you note that is included into the receipt which the customer receives automatically. Now your product is ready to be sold! Once you’ve filled the details for your store and for your first product, all you have to do is press the Publish button and your product is available online! You can start linking to your webstore with the address you have chosen. Hopefully this article gave you a clear picture of just how easy it is to open your own web store. However this article just scratched the surface. The Holvi webstore offers many more functions, such as the ability to create campaigns and product categories. More instructions for using Holvi and your webstore can be found from our customer help centre. You can also contact your customer service directly by phone (+358 753252935) or by mail (support@holvi.com). You can see more information about our pricing and other functions of a Holvi account from our webpage. May your sales be good and your profits sky-high! *Holvi is not a traditional back. We operate under the supervision of the Financial Supervisory Authority of Finland, operating around Europe in accordance with the Directive on Payment Services of the European Union. 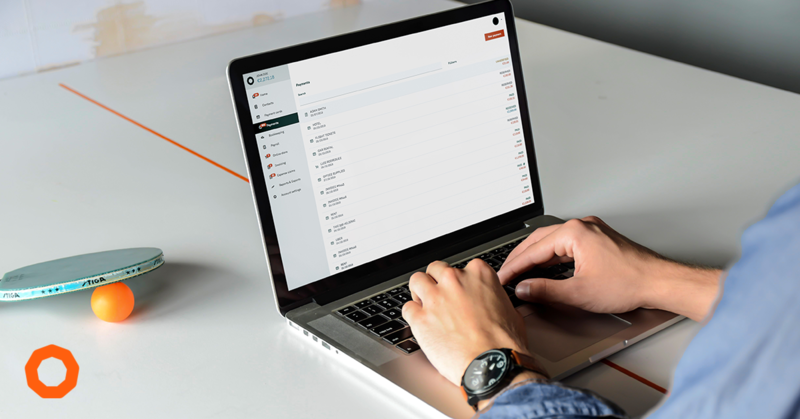 The funds on your Holvi account are kept separate from our balance sheet. The funds on your account are yours and yours only. 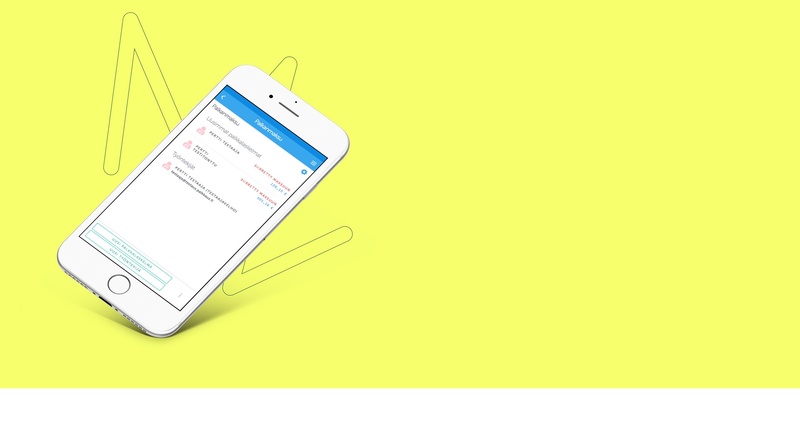 Send e-invoices effortlessly with Holvi! 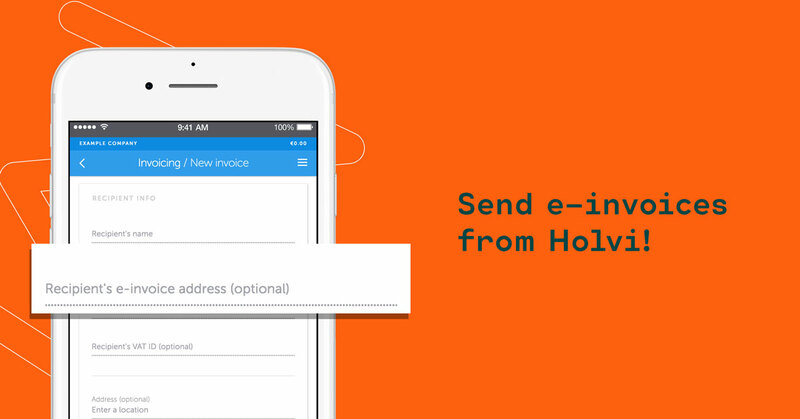 We are happy to introduce new a highly anticipated feature in Holvi: sending e-invoices!